Many skiers opt for a package holiday that includes the travel because of the convenience this offers. However, there is a huge range of catered chalets on the market that do not include travel. As these companies are often smaller, the levels of service tend to me a lot more reliable. So much so that they are worth the extra hassle of making your own way to resort. 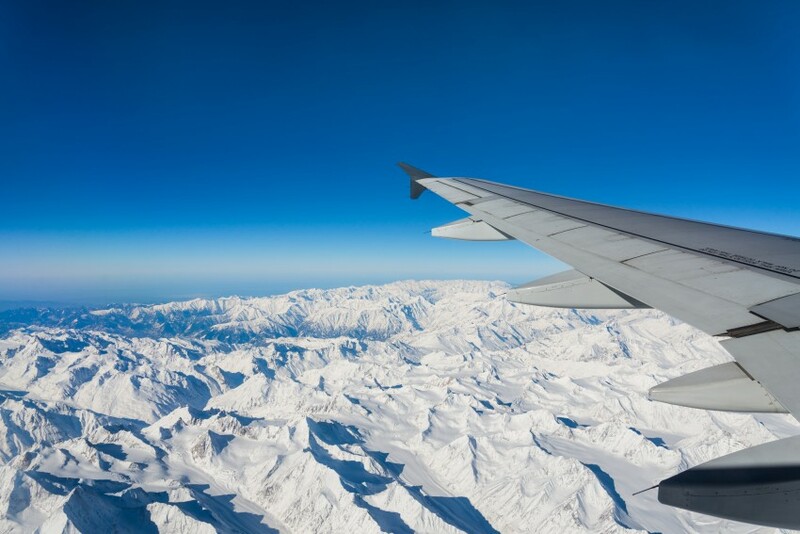 This used to be a bit of a pain in the neck but with the rise of the budget airlines supplying ski routes to main ski airports in the Alps, finding a flight is nowhere near as painful as it used to be. Especially thanks to sites and apps such as SkyScanner.net which allow a quick comparison without having to trawl through all the different airline websites. Another good tip, especially if you are booking a bit late, is to phone us up and to ask if we know of any package operators selling off flights. This happens quite a lot when the Tour Operator do not manage to sell all their flight seats so they sell them off to the public at a discount. Transfers do seem to be a sticking point, almost everyone these days has booked a flight but much fewer have booked a ski transfer. This is actually super simple to do, a quick google search will throw up several options. The companies that we like to recommend are Sky 2 Ski, Mountain Drop Offs, and Ski Lifts. On first look, you may find private transfers to be very expensive, but just remember that in effect, you are booking a 3 hour taxi ride each way. It will generally be in the region of £100pp based on 6-8 in a minibus. Many find the extra expense to be worth it, coming off the 6am flight from Gatwick into Geneva then waiting for your bags never puts anyone in the best of moods, but imagine walking into the arrivals section of the airport and seeing a driver with your name on a laminated placard. He then takes your bags and helps you into a nice, clean minibus and whisks you straight to your chalet. There are low cost alternatives, services such as Bens Bus and Alpybus offer a shared transfer service to many of the big resorts. Make SURE you read the fine print as to when and where you will be picked up and dropped off though, also make sure you know how to get to your chalet from the drop off point for very obvious reasons…. 1. Always ask about parking at your chalet, you would be surprised how many won’t have space. 3. If you are flying into Geneva, you can hire from the French side of the airport and its cheaper but it is a real pain to find the right entrance on the way home! 4. Make sure the price includes a winter package, with the chains etc. If not, you may actually find it’s cheaper to buy chains than to rent them from your hire car company.